Year 6 is a full, challenging and exciting year for the children as they embark upon preparation and exams for their senior school entry and all that this entails! It is also an opportunity for great personal development and to bring together all that they have learned academically and socially. 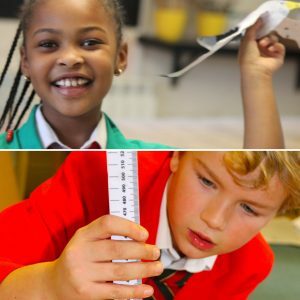 Once our children reach the end of Year 5, their strengths and passions become more evident and it is time to assign each pupil to a leadership role within the school for their final year. These roles are very important at Howe Green and are undertaken with pride and diligence by the children. There is a robust application process in place, comprising of a letter written that outlines what qualities each individual possesses as well as areas in which they would like to develop, an interview with the Headmistress and Deputy Head – benevolently rigorous! We embrace a range of traditional and modern positions of responsibilities and each has a genuine and tangible impact upon the running of the school and contributes to the feeling of community and family of which we are so proud. Functional positions such as Art, Music, ICT and Drama Captains sit alongside those which promote strong values and positive behaviour in the school such as House Captains, Head of Peer Mediation & Restorative Practice and Heads of School, as well as the spokesperson for representing pupil voice, the Chair of School Council. Each role is designed to give the children an opportunity to use their strengths to contribute toward the well-being, happiness and smooth running of the school.